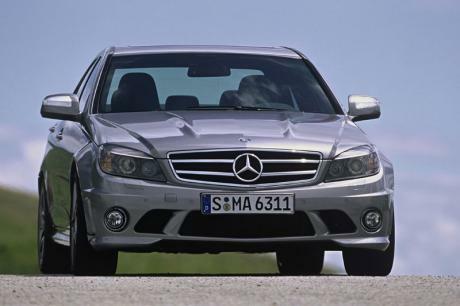 Acceleration figures indicate the base C63 is faster than the E55, it is not! Now what wee need to see is a Black Series Version! isn’t an issue whatsoever as long as you aren’t taking a coffee break in between shifting, etc. But then again, Motor Trend, Edmunds, etc do the same thing at times just to have something to write about. Chevrolets arent reliable you say? LOL That IS Funny!! NO no, its hard for me to believe that Chevys are reliable, maybe some. And Corvettes are not recommended, nor is that Camaro recommended, (consumer reports). only 4 out of 18 Chevy vehicles are actually recommended. I would take a Mustang over any Chevy any day. ooooo, 1 word of advice, certainly DO NOT take Jeremy Clarksons word on it, thats something you shouldnt do, he is completely wrong, Corvettes are amazing and magnifcient cars, even consumer reports are really good, Chevrolets are well known for there relliability, and that goes for Corvettes too, but any car can break down after 3 days, it all depends, but if you had the chance to purchace a C6, you definetly should, there great fun cars, way better than any Mustang, taking JC comments on a American car is definetly a no no, try other sources, and youll see there awesome cars. Yea, plus, a Corvette is like a bad car. Jeremy Clarkson, (Top Gear)said that they he had a Zr1, and he said that when he went on a trip with it, after a couple of days, it refused to start. So I would never purchase a Corvette. And the consumer reviews are not too good either. They said Corvettes have bad reliability, I\'m sure some people probably don\'t look for that when buying a sports. But i don\'t want my sports car to brake like that after i spent money buying it. 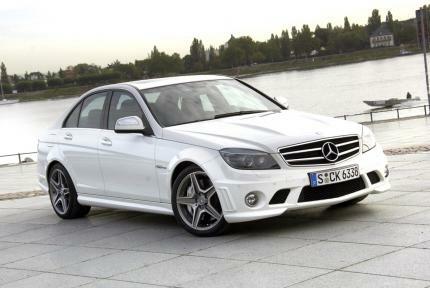 That\'s one of the reason I like this car, its got a back seat and a big v8. What about Merc\'s top speed? 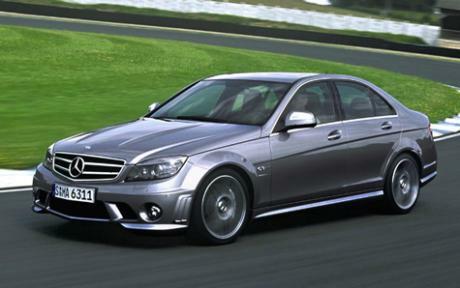 i have one white c63 in garage and my brother tested his top speed:314 km/h! Only asians would by this over-priced status-symbol crap along with the M3..
BMW M3 will run over this rubbish anytime anywhere. green limit is they limit the cars to 155 so they don't damage the environment TOO much. why do they limit some of there cares and not all of them?? hence they limit the sl65 to 155, but in reality it will hit around 206 orso, and yet the dont limit the slr which hits 208, and yet agai the black series 65 and with the dtm amg which are both limited to 200, and they can go over 205, so i dont see a point in giving a car 525 bhp (sl63) and than limiting the speed. and im not sure what you mean by (Green Limit)?? 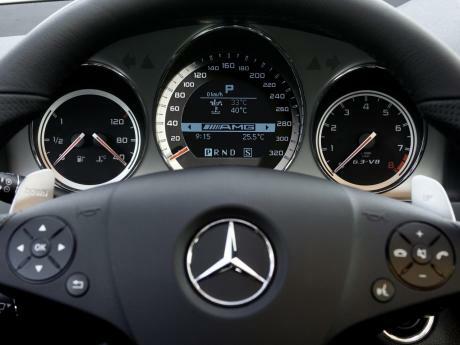 the 155mph limit is a gentleman agreement between Audi BMW and Mercedes.. in the past it was set because the tire technology could not keep up with possible topspeed of their supersedans, today it is more a green limit... all three offer unlimit as option for their models. is there any reason that most german cars are STILL limted to 155?? i mean threy have the technology for the tyres,brakes,transssinon and stuff lke that, so why?? i mean they do ave the autobahn, whichis about 40%unristricted, and countrys lke the uk and us dont have autobahs and they dont limit tere cars, (well some)...(*******s..lol) so i jst dont see the point?? it is amazingh that car and driver got to 60 in 3.9 seconds, when nobody, as far as i know has gotten in the 3's with the lighter ore harder/racier 63 black seres? 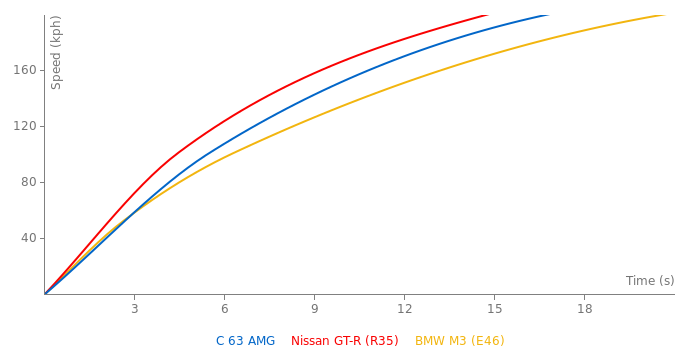 If you want to see how C63, M3(e92) and ISF compare against each other, you can use "Which is Faster" feature. You can access WIF by clicking on "Which is faster? Click here to compare two cars" box in the top-right corner of the screen.